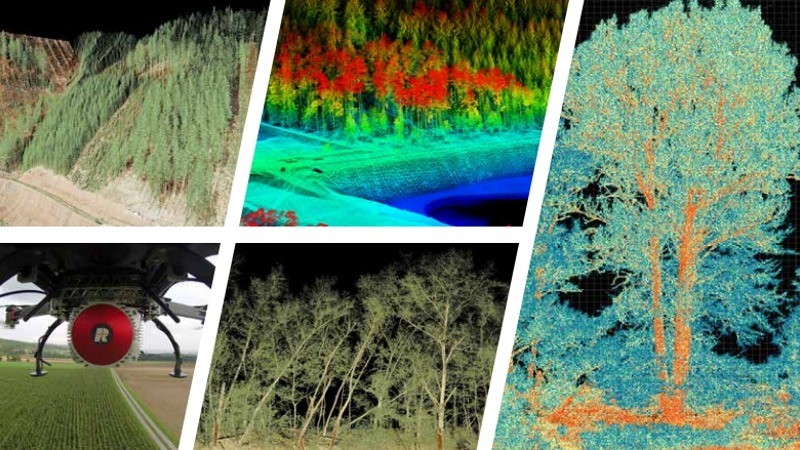 Based on innovative Waveform-LiDAR technology, RIEGL laser scanners and systems provide an outstanding high-density point cloud ideally suited for applications in forestry and precision agriculture. Advanced processing algorithms account for a full exploitation of the information included in scan data. The high-performance multi-target capability enables an excellent vegetation penetration resulting in a high number of ground returns that can be used to generate very detailed terrain models. Point classification is the basis for growth monitoring, height modeling or the detection of deadfall. RiCOPTER with VUX-SYS is RIEGL’s remotely piloted, fully integrated UAV-based airborne LiDAR system. VP-1 HeliCopterPod provides a user-friendly turnkey solution for the application of Long Range LiDAR. The VQ-1560i and RIEGL VQ-1560i-DW – Ultra-high performance, fully integrated and calibrated Dual Channel Airborne Mapping System. The VZ-400i is a cutting-edge 3D Laser Scanning System. There are a number of RIEGL UAS-based LiDAR sensors that can be integrated within the RiCOPTER and other remotely piloted aircraft systems.